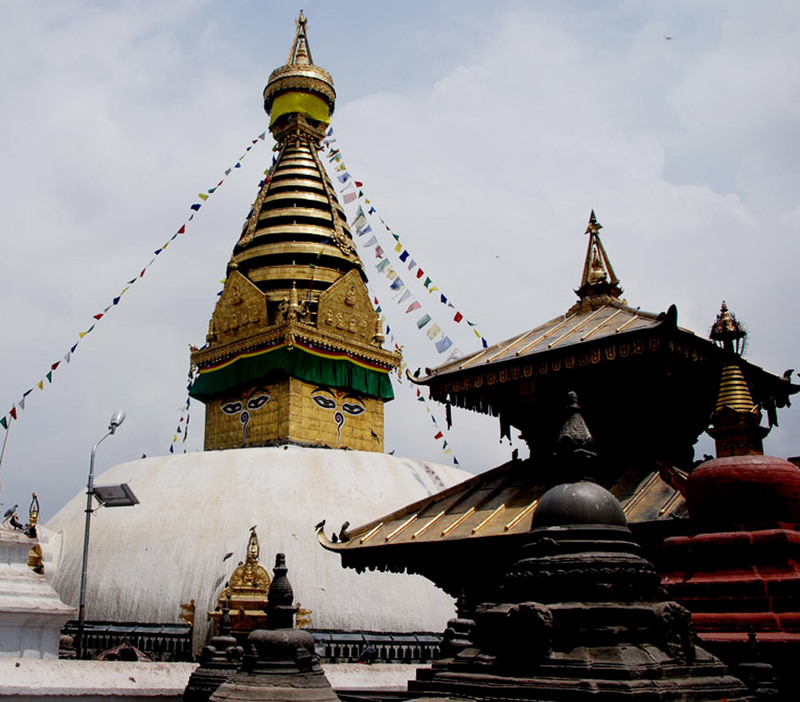 Entirely driving tour to Historical sights of Nepal to visit oldes arts and artitectures. Explore Natural cities, best mountain views, Jungle safari tour, and stay at best touristic town which is making this plan as best tour plan of Nepal. 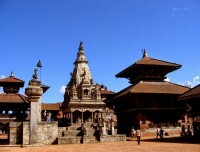 10 days Best Nepal tour package is touring in historical and natural cities of Nepal. Heritage sites of Kathmandu valley, Natural city of Nepal Pokhara. 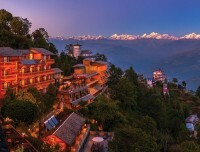 Tour plan is to reach best and nearest Mountain View point’s Nagarkot near from Kathmandu and Sarankot near of Pokhara. 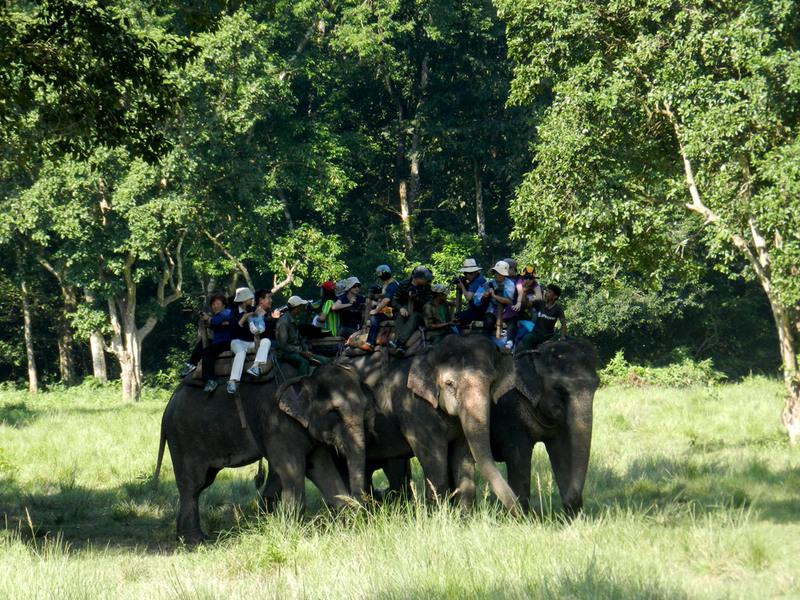 Experience of Chitwan National park jungle safari with good hospitality. 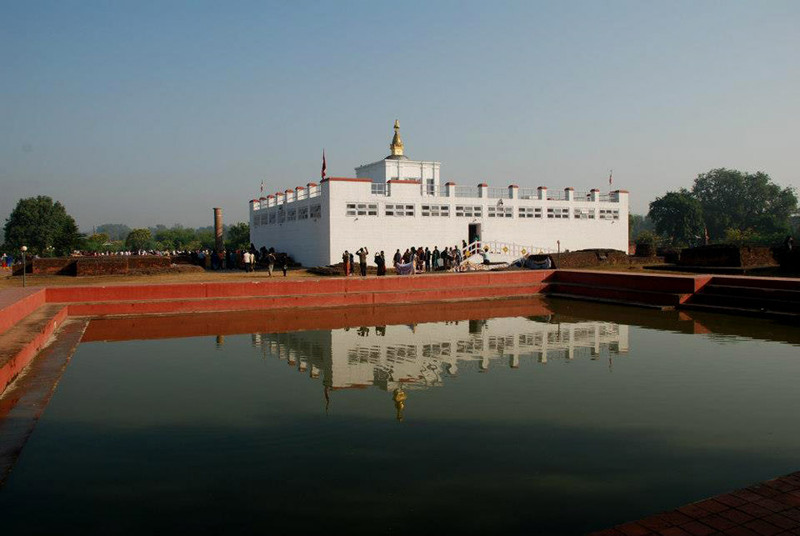 Reach at birth place of Buddha Lumbini to visit Mayadevi temple and other monuments. Tour at the end reach to stay overnight in typical small town Bandipur on your way back to Kathmandu. This tour itinerary is design for those who are not interesting or not able to hike in the Himalayan altitude land for long time but want to explore Nepal typical culture, meet with different peoples, enjoy mountain views, test authentic Nepalese foods and stay relax in natural heritage places with warm hospitalities. Tour itinerary we are suggesting here can be customize as per your interest. Professional team from Nepal highland treks leads this tour program entirely very well. Knowledgeable and friendly tour guide in this 10 days provide you every information you want. 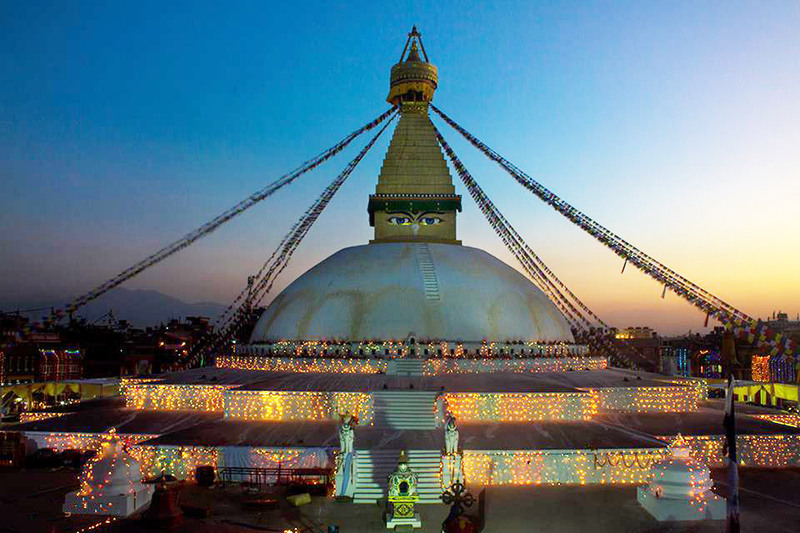 Tour itinerary is about entire Nepal from mountain to the hilly region and till low land region of Nepal. So culturally and geographically you are inside entire Nepal. Good accommodation in hotels and resort in this entire tour is provided. tour cost is including 3 star category hotels but you also have option to choose more deluxe hotels or less category hotels to make low tour cost. Either group tour or single person tour, this tour can operate throughout the year. Although the best time is from March to May and September to December months. The Himalayas are clearer, weather is not so hot not so cold, rain do not disturb in these months. 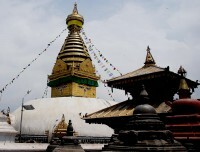 Nepal Tour package we providing here can also add some more activities in Kathmandu and in Pokhara. There are couple hours tour to reach closer of Mt Everest (The highest peak in this world) from Kathmandu. Tour program also can include some Himalayan flights activities in Pokhara. White water rafting tour one the way of your driving. Entire designed driving tour also can add domestic flight in between some cities. 3 to 5 hours’ drive every days. The maximum driving hours is about 7 hours which is driving through scenic Nepali villages and beautiful landscape. Nepal highland treks is always looking forward to serve you in better way in Best Nepal Tour Package or any kind of other trips. Suggest us if your whole interest are not covered in this itinerary, we are always ready to provide you best itinerary as per your wish. Add extra activities without adding total days in this tour plan: you can add some activities in this 10 days tour plan. Himalayan schedule flight, Helicopter flight to Everest from Kathmandu, River rafting tour one the way Kathmandu Pokhara. Heli flight to Annapurna base camp from Pokhara. Paragliding in Kathmandu or in Pokhara. Bungee jumping, swing in Pokhara is always possible to add in this tour. Manakamana cable car tour is another possibility to add in this plan. Customize your tour plan: You can suggest us to customize your tour plan. Make this tour longer days or finish it within short days. If you are looking to add or remove any places mentioned in this itinerary, you can suggest us. We will follow you to make this trip one your best one. Day 1Arrive at Tribhuban international airport (1,350 meters) drive (23 km) to scenic hill station near Kathmandu (Nagarkot – 2,175m). Stay overnight at Hotel Meet our representative in your arrival. Great you in Nepali way and drive to Nagarkot. If time permits, we visit Bhaktapur durbas squire on the way Nagarkot. 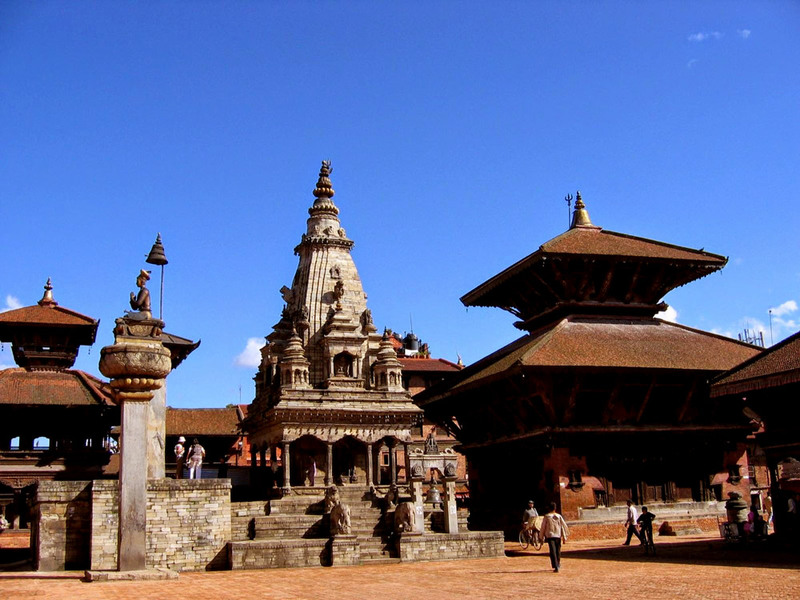 Bhaktapur durbar squire is historical old king palace rich in oldest arts and architectures. Nagarkot takes 1 hour drive from international airport. One of the best place to stay relax with natural valley and mountain views. In clear day you are able to see best sunrise and sunset views with far view of Mount Everest. 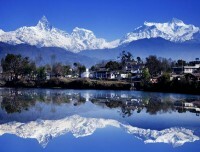 Day 3Drive to Pokhara (200 km – 6 Hours) through scenic Nepali villages and beautiful landscape. Further drive to Sarankot for overnight at Hotel After your breakfast in the Hotel start drive to Pokhara. 6 hours of driving stop at view point and interesting places. It also have option to make white water rafting trip in Trusuli River. Rafting is in extra cost. 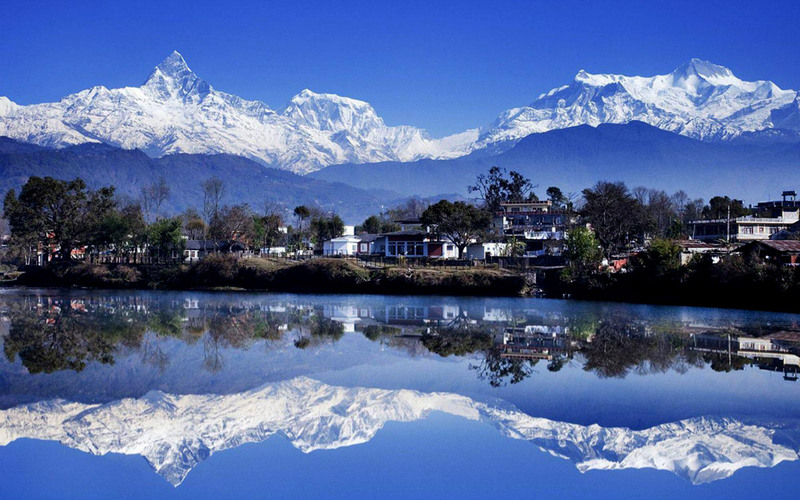 Pokhara an altitude of 810 miters is beautiful with Lakes, forest and Mountain View. 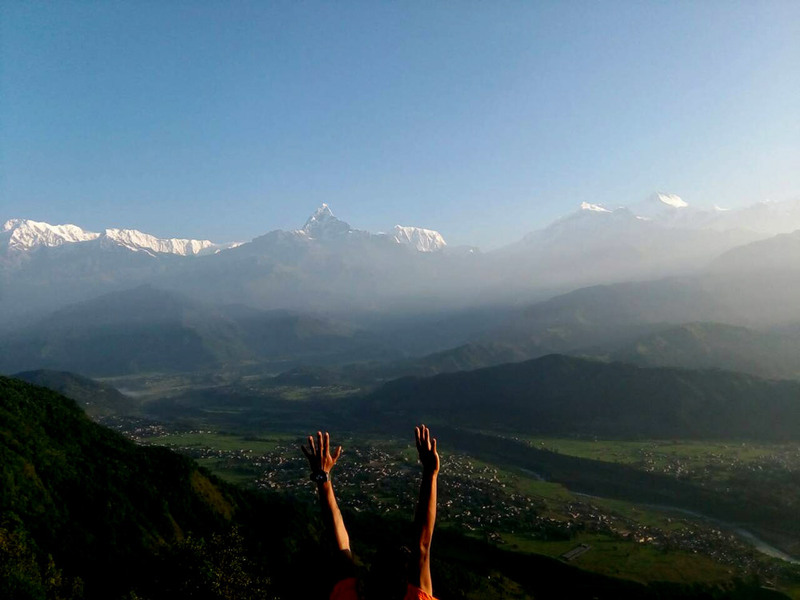 We further drive to Sarankot near Pokhara for better stay with scenic view of mountains and Pokhara valley. Saraknot is another best sunrise view point with panoramic mountains of Dhaulagir range, Annapurna range, Fishtail and closer views of other mountains. Day 6Drive to Chitwan National park (137km – 4 Hours) Jungle activities and overnight stay at Hotel After spend morning time in Lumbini, short drive to Chitwan National park. It is low land of Nepal feels hot. Although our car is with good air-condition and your hotel rooms too. Check in hotel and rest. After you Lunch inside hotel, walking tour at typical Tharu village. Evening exploration of Tharu cultural dance. Lunch and Dinner in Chitwan today is including in the tour package. Day 8Morning at Chitwan with bird wachiting walking tour inside jungle. 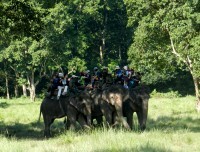 Drive to Bandipur (96km – 3 Hours) after breakfast and overnight at Hotel Leave Chitwan National park. You will drive with same car back towards Kathmandu. It is also have option to make Manacamana cable car tour and reach to one of the most important Hindu temple Manakamana at the top of hill. 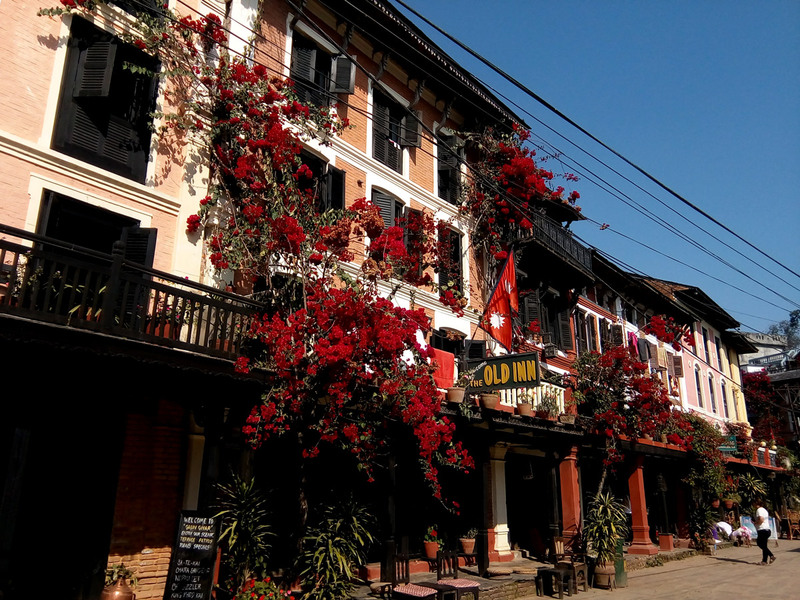 Bandipur today is typical and small Newari town with typically built building. 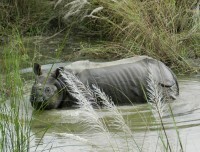 One of the hill site is 3 hours’ drive from Chitwan. Reach there early from your lunch hour and walking tour around interesting places with our guide. Day 9Drive back to Kathmandu from Bandipur. 150km – 5 hours. Enjoy Nepali dinner with cultural dance. Overnight at hotel From Bandipur drive back to Kathmandu is short time. You will have enough time in Kathmandu fior last hour shopping. Drip to the Hotel in Thamel and you will have your own rest of the time. If you need any help you can ask with our guide. Evening dinner at authentic Nepali restaurant with cultural dance.